Learn to teach yoga to people with limited mobility and a wide range of muscle-skeletal conditions, disorders and pain. 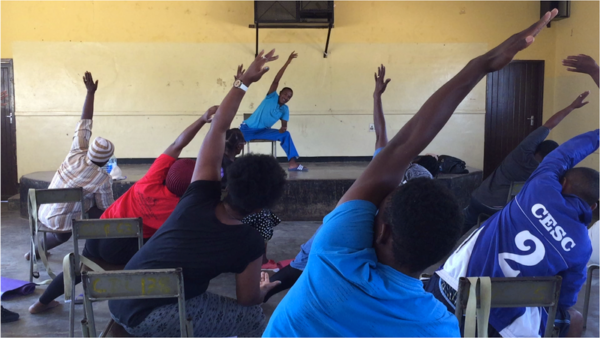 The World Spine Care Yoga Project Yoga Project protocol combines adapted and prop-assisted postures, breath-work and mindfulness to make the wide-ranging mental and physical benefits of yoga accessible to often under served populations. All proceeds from this training will go toward funding the work of the World Spine Care Yoga Project, whose mission is to bring the benefits of yoga to under served communities. Barrie Risman and Dr. Geoff Outerbridge will provide an introduction to the approach used by the World Spine Care Yoga Project protocol for adapting yoga postures for people with limited mobility. In this training, you’ll learn how to teach yoga to people with limited mobility and a wide range of muscle-skeletal conditions, disorders and pain. The World Spine Care Yoga Project Yoga Project protocol combines adapted and prop-assisted postures, breath-work and mindfulness to make the wide-ranging mental and physical benefits of yoga accessible to often under served populations. This training is ideal for yoga teachers, chiropractors, osteopaths, massage therapists, physical therapists, doctors and medical students and all wellness professionals who wish to incorporate yoga into their therapeutic practices. A comprehensive training manual with posture syllabus, key alignments and prop modifications for all postures, class sequences, guided breath-work and mindfulness exercises is included. A total of 12 hours of training time. Barrie Risman is widely regarded as one of Canada’s most highly skilled yoga educators, teacher–trainers and mentors. She is well known for her ability to convey the essence of the awakened teachings of yoga with exceptional clarity, insight, and relevance to students of all levels and from all walks of life. Her events weave together the technical precision of alignment-based practice with an ever-present awareness of the great wisdom of yoga philosophy distilled from decades of intensive study and practice. Barrie was the co-founder of Shri Yoga, Montreal’s seminal place for the practice of Alignment-based, Heart-centered Hatha Yoga from 2011-2016. From 2003-2012, she was a Senior Anusara Yoga teacher and teacher trainer. She has been a student of Iyengar Yoga since 1993. 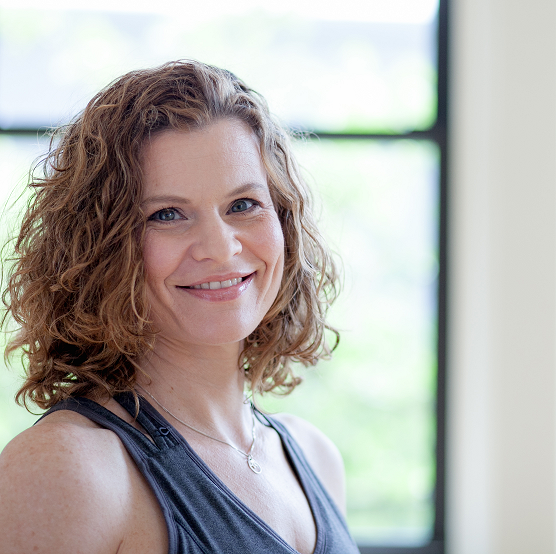 Most recently, she is the creator of The Skillful Yogi, an online Mentoring Program for yoga teachers. She is currently at work on her first book: Evolving Your Yoga: A Seeker’s Guide to Deepening, Integrating and Expanding the Benefits of Practice. World Spine Care is “a global charity on a mission to improve lives in under-served communities. We aim to create a world in which everyone has access to the highest quality spine care possible”. The Yoga Project is the one of the active and preventative care initiatives supporting WSC’s mission to provide integrated evidence based spine care. The Yoga Project also builds capacity by teaching local clinic patients to teach their communities adapted postures, mindfulness and breathing techniques for pain management and increased mobility. The Yoga Project launched in Botswana in 2016 and is going strong today. 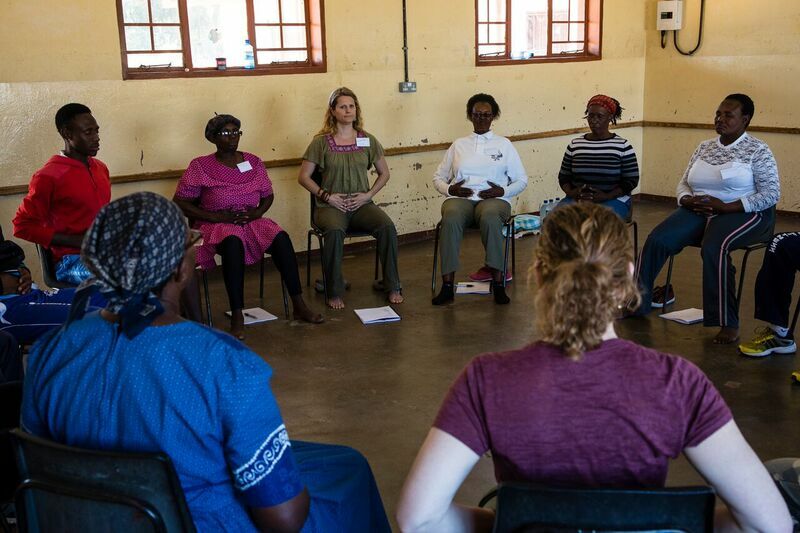 The proceeds from this training will go to supporting the community teachers in Botswana giving them more opportunity to learn and serve their communities as well as training new teachers. $225.00 per person until November 30, 2017, $275.00 per person thereafter, for the full weekend (Friday evening, Saturday and Sunday). Training Manual included. $30.00 per person for the Friday evening lecture only. Prerequisite: Completion of a 200-hour Yoga Teacher Training, be a current medical professional or medical student. For 200 hour certified Yoga Teachers the credits for this training can be applied towards a 500 hour certification and is eligible for CEUs with Yoga Alliance.